We’d love your help. Let us know what’s wrong with this preview of Island Redemption by Suzanne Cass. Money or love? The ultimate choice. 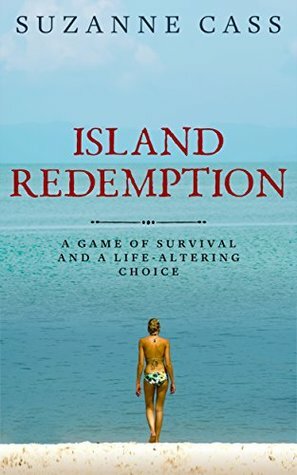 Cilla Parsons’ life is turned upside down when she finds herself in the most unlikely place – on a deserted island with seventeen other contestants playing a game of endurance for a one million dollar prize. The soft sandy beaches and crystal clear azure water don’t fool her, however; she knows this is no paradise. She’ll do whatever it Money or love? The ultimate choice. Cilla Parsons’ life is turned upside down when she finds herself in the most unlikely place – on a deserted island with seventeen other contestants playing a game of endurance for a one million dollar prize. The soft sandy beaches and crystal clear azure water don’t fool her, however; she knows this is no paradise. She’ll do whatever it takes to win the money and save her family home. Until she meets one of the other contestants. Broad-shouldered, irresistible Tam Conner. Tam Connor is also desperate to win the prize, for very different reasons. He’s a child psychologist, and needs the money to better the lives of the disadvantaged kids he works with. The two are pitted against each other in round after round of challenges, but their game strategies start to unravel when an undeniable physical attraction sizzles between them. In the end there can be only one winner, and Cilla is confronted with a crucial decision; tell Tam she loves him and lose her chance at the prize, or reveal her ruthless side and win at all costs. This debut book follows the lives of contestants in a fictional reality game called Sea Quest. An easy-to-read romantic adventure, fast-paced and thrilling, culminating in an ultimate life choice. Get Island Redemption and take a romantic adventure on a deserted island today! To ask other readers questions about Island Redemption, please sign up. A good story, that provides a few twists on the way to a happy ending. I originally read the opening of this book in the first round of the Emerald a few years ago & was left wanting to read the rest. I am glad to see that it was published & that the rest of the story was as good as the opening promised. Brilliant! Devoured this book in a couple of days as I just had to know how it ended. And without wanting to give anything away, the ending didn't disappoint (I'm sure I gasped out loud at some of the turns the story took). This book had me hooked from the first page until the last. If you love reality TV, do yourself a favour and turn it off for a while so you can read this.